This video (click here) was a couple years ago, after Cabela had had her teeth cleaned and a small growth removed from her eyelid. Ella (our middle kiddo) was all about taking care of her. Thank you so much for chatting with me, I’ve found comfort in sharing our memories of Cabela. Like you, I feel like it was just yesterday that you were emailing me to tell me her miraculous birth story. She is so very missed. 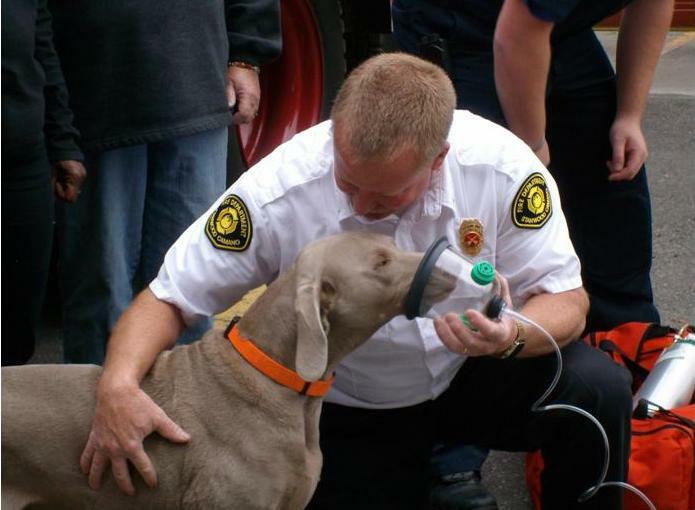 I know we can relate to the loss or the fear of the loss of our beloved Weimaraner. No one is ever prepared to say goodbye. Cabela had the best possible family and life–for that, we are ever so thankful. Her family knows she cannot be replaced, but Caleb (the gray male they got from us some years ago), needs a new sister. So, soon Clover (another Blue Female) will join this family. We are honored to know them, and touched by their loyalty. It is with great sadness that I write to let you know that our sweet Cabela, our very first baby, has passed away. We are greatly saddened, but so thankful for the wonderful memories we had with her. I am so thankful that she passed when she did, after a weekend together, filled with playing outside, eating horse poop (her, not us! ), and stealing donuts off the counter. She had been declining and I had been preparing myself for a couple years now, but of course you’re never completely prepared for the day that it finally happens. She passed in her sleep, after enjoying a dinner topped with leftover mac & cheese and tuna sandwich scraps (she had become a bit of a picky eater). As a family, we laid her to rest yesterday evening, overlooking our creek, where she loved to splash around and explore. The kids wrote her letters and Ella blew bubbles for her. Hunter also gave her his certificate of achievement from school for his math test. And of course, they both gave her a stuffie to take along on the journey (she loved to steal their stuffed animals!). As sad as we all are, I am grateful for the lesson of saying goodbye to a family member in such a beautiful way. Thank you for choosing us to be her people. We will forever be changed by the way she enriched our lives. You might remember I mentioned Cabela in a recent blog–click here. I remember Cabela’s arrival like it was yesterday–and all that occurred after she arrived left an impression on our hearts. We entrusted into your care, and here we are many, many years later celebrating her life–grieving her departure. Isn’t it the truth that these wonderful creatures make us better humans? I believe it is true. Thank you for the photo array of Cabela–each snapshot speaks volumes. Our hearts ache for you and the family’s loss. Sully, the dog that dutifully served President George H.W. Bush in his final months. Let’s have a moment of silence for the late president who left a distinguished public service legacy to the American public–and who shared his life with Sully. Sometimes you learn the most about a person when they are in need. A Service Dog, well, they keep all our secrets and love us on our worst day. Thank you, Sully. Click Here to read the rest of the story compliments of AKC. Happy thoughts are our favorite thing. No one wants to think of the day when they will have to say good-bye to a faithful companion, and friend. Honestly, the loss of a fur friend/family member sometimes causes unexpected agony of the worst kind. We are haunted by their absence. We continue on to think of getting them a toy, a treat, or taking them for a walk–only to remember they are no longer there. They comforted us. They kept our secrets. They loved us when we were not so lovely. They shared our moments, and doted on our every move. Sometimes this was to our chagrin; this is especially true when they destroyed something due to separation-anxiety. Our Beloved Happy Boomer We Miss You! We receive a number of messages from folks who are facing a loss. Some know it is on the horizon, and coming their way at lightening speed. Others have returned from making a decision they would have preferred to never have had to face. 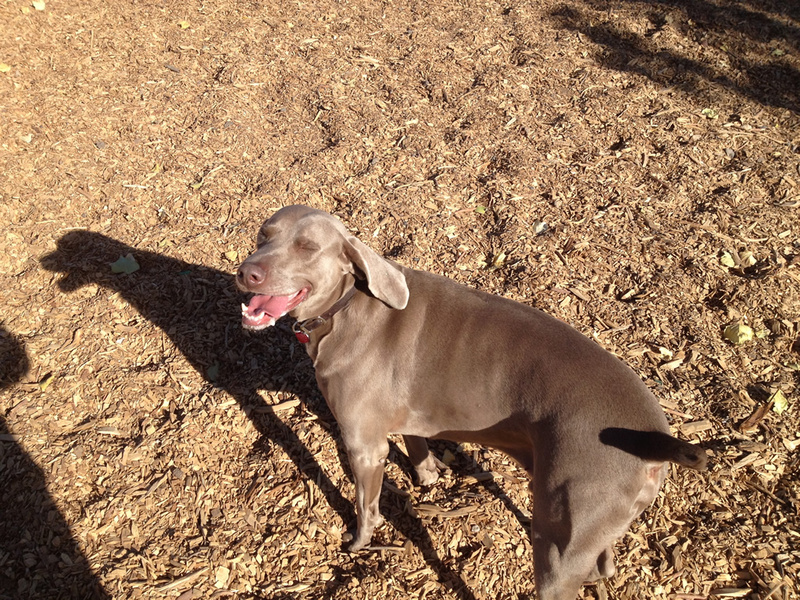 Then there are those caught short in the blink of an eye who saw their beloved Weimaraner pass over the rainbow bridge. No matter how the good-bye happens, it is not easy. Such was the case of a person whom we will call Devastated. We recently received a note from them during one of their darkest hours. Please read on, but first grab yourself a tissue…. Please share this with your clients. The importance of good voice control, especially with “heel” and “down” are critical, even in places you think are safe. It only took one instance of stubbornness and one frustrated electrician driving too fast down your private lane for disaster to strike. Earlier today we lost my best friend, Boomer. To say I am devastated is an understatement. It doesn’t seem real, and I desperately wish that it wasn’t. I honestly don’t know how I’m going to face tomorrow without my Boo but wanted to share this just in case one person gets the message, and it saves them from this unbearable pain. Please know that I loved Boomer more than anything and really don’t know what I’m going to do without his warm breath in the morning, the weight of his head on my lap, his gentle pawing to let me know it’s time to go for a walk, and countless other little things. He truly was my best friend. Having permission to post these comments didn’t mean we were in any hurry to so. There are no words to say that cover this sort of loss. A person who has not experienced such a thing must stop, and take pause. It happens to some of the best folks. Danger is lurking about; it is a monster who awaits a single lax moment. No one is immune. This kind of thing has happened to dog trainers, show people, and very vigilant types. Our heart goes out to you. Dear Devastated, we know but by the grace of God there we might find ourselves. Thank you for sharing in your time of need; we know it was because you didn’t want another person to fall victim to such a loss.